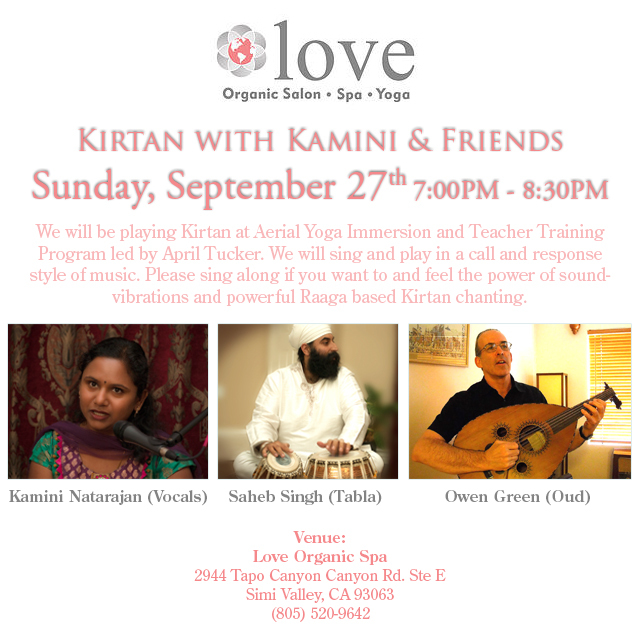 We will be playing Kirtan at Aerial Yoga Immersion and Teacher Training Program led by April Tucker. We will sing and play in a call and response style of music. Please sing along if you want to and feel the power of sound vibrations and powerful Raaga based Kirtan chanting.